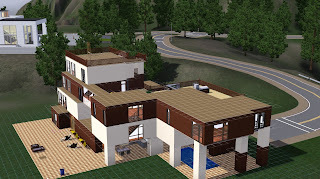 Okay so here is a house i have been working on. I really liked how it turned out. 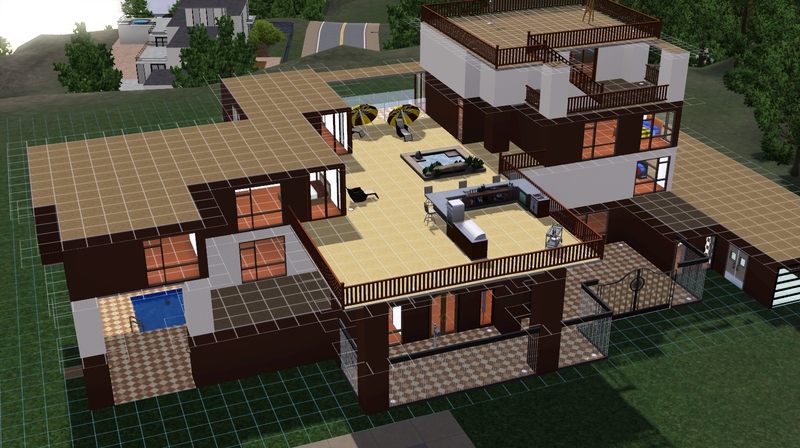 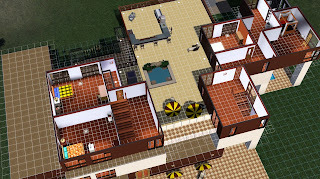 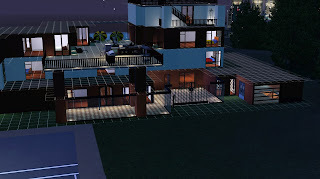 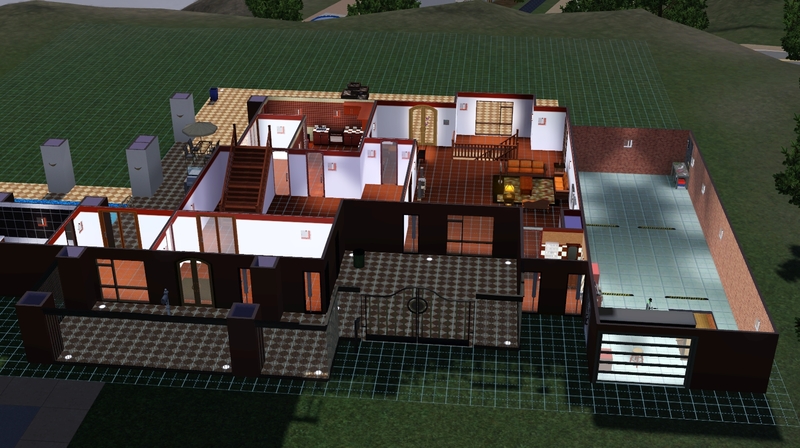 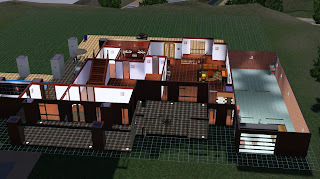 It houses eight sims, and has a basement with games room that leads you to a smaller basement just under the garage. 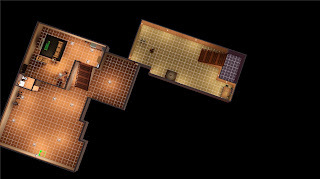 You can exit the basement through the house or the garage. 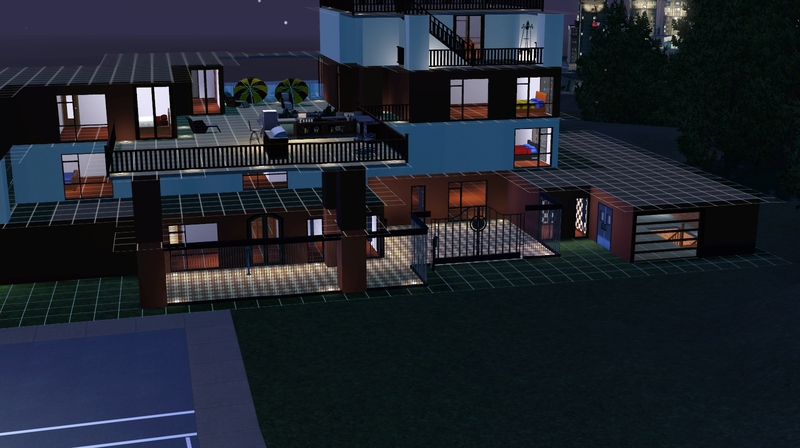 I really love the colours, and all the doors.